Workers are facing commuter hell because of increased journey times if they travel by road, rail or bus, according to a new report. Research by the GMB union found that car drivers spent an extra 14 hours behind the wheel last year, while the average commute for rail passengers from home to work was over an hour. Worsening congestion and the Government's failure to invest in transport were blamed by the union, as well as insecure employment and unaffordable housing. Agency workers faced longer journeys than the average, while most of the longest commutes were in London, said the GMB. National officer Jude Brimble said: "A couple of minutes on your journey to work might not sound much, but that works out at 14 hours a year stuck in traffic. "This isn't just bad for commuters and the economy, it's a huge strain on the people who build and maintain our transport infrastructure, as well as public transport workers. "If the Government really cares about helping ordinary working families, it must urgently sort out the commuter hell that is keeping Britain in the slow lane." 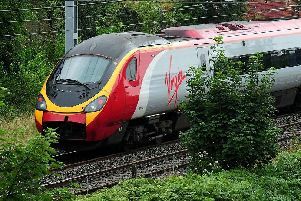 Andy McDonald, shadow transport secretary, said: "Work-life balance is being compromised as commuters are facing longer journeys. "These findings are clear evidence that the Government's decisions, from not tackling the housing crisis to cuts to transport investment and infrastructure, are having a severe and detrimental effect on people's commute to work and have created a transport crisis."